Welcome to the second post in our series on social selling best practices and pitfalls to avoid when pursuing success in today’s hyper-connected sales environment. In our first post, we focused on generating awareness for social selling. In this post, we explain how to train your sales team to successfully sell via social media. Your sales team needs to be equipped with the knowledge and skills to succeed when it comes to selling via social media. That’s why education is an important building block as you develop a social selling program. Through consistent education, you can help instill a social selling culture into your sales professionals’ daily routine. More specifically, by arming them with training and tools, such as Sales Navigator, you can enable your sales team members to make social selling part of their daily workflow. To that end, many organizations take advantage of the LinkedIn Sales Navigator Learning Center, featuring a library of training materials, tip sheets, videos and webinars all designed to educate about social selling. Through these courses and materials, sales reps are encouraged to complete their LinkedIn profiles, use Advanced Search to find quality leads, share buyer-centric content and build lasting relationships with contacts. Organizations that take this approach end up with a sales team trained on both the value of social selling and the features of Sales Navigator. 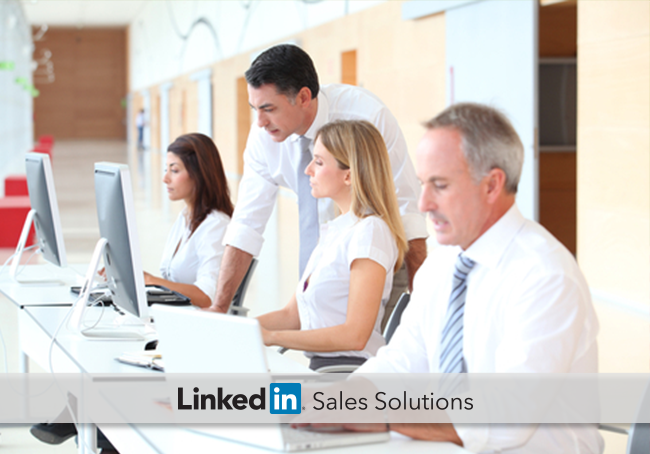 For example, sales reps learn how to focus on the right prospects and gain insights via LinkedIn. They also learn how to save leads and accounts – and why it’s important to do so – along with how to create a LinkedIn profile designed to generate inbound leads. Here’s a sample LinkedIn Sales Navigator social selling learning path to give a sense of how to develop an education plan for each member of your sales team. Tune in soon for our next post in this series, in which we’ll outline how to reinforce social selling adoption and engagement. Meantime download our eBook, Crossing the Chasm: How to Capitalize on the Social Selling Trend for more guidance on how to strategically adopt social selling.